The remote valleys of Lahaul, Spiti and Kinnaur have strong Buddhist traditions. Splendid gompas, Buddhist monasteries, built along bare mountain-sides seem to be a part of the rugged terrain. These are the repositories of a wealth of Buddhist art and culture. The dim, cool interiors of ancient monasteries glow with the brilliance of painted murals, stuccos and elaborate thangkas framed with rich borders of silk. 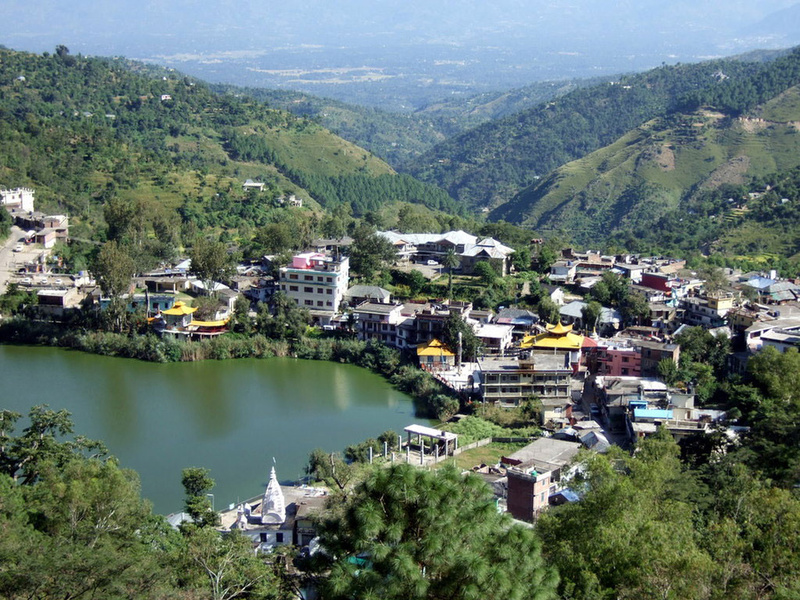 REWALSAR: Perhaps the most sacred spot for Buddhists in Himachal Pradesh, Rewalsar is 20 km south west of Mandi. According to legend, Guru Padmasambhava departed for Tibet from this beautiful spot, to spread the ’dharma’. A pagoda-style monastery stands along the edge of the lake. GURU GHANTAL MONASTERY(3020 m): This is on the right bank of Chandra river about 4 kms. above Tandi and is believed to be the oldest Gompa of Lahaul having wooden structure with pyramidal roofs, wood carving, preserving the idols of Padmasambhava & Brajeshwari Devi. On the full moon night in mid-June a festival called "GHANTAL" is celebrated by Lamas & Thakurs together. KARDANG MONASTERY(3500 m): It is about 5 kms. from Keylong across Bhaga river. It is believed to be built in 12th century. Monastery has a large library of Kangyur and Tangyur volumes of Budhist scriptures in Bhoti. Kardang village was once the capital of Lahaul. 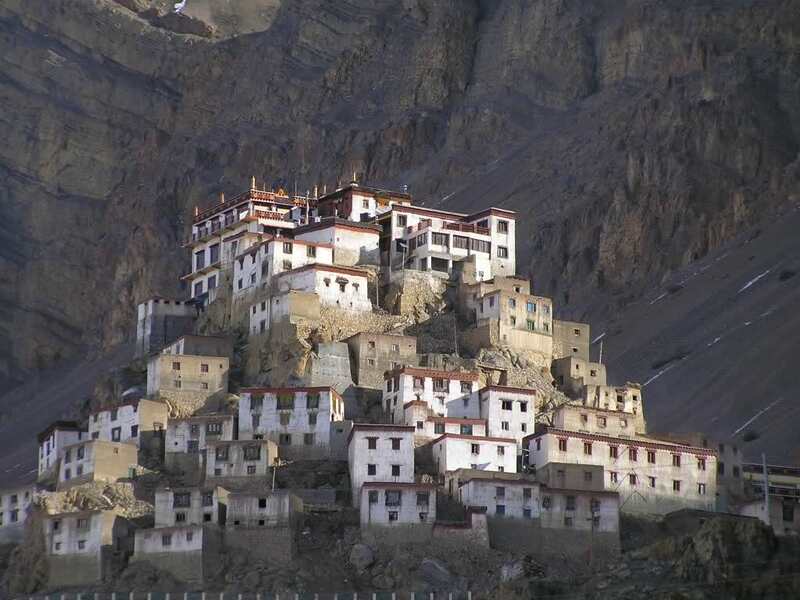 SHASHUR MONASTERY: Situated on a hill about 3 kms from Keylong (Lahaul & Spiti) towards north on the same slope. During June/ July this monastery attracts a large number of visitors when Lamas perform the devil dance. It was founded in the 17th century a.d. It belongs to red hat sec and is located among the blue pines. The paintings represent the history of 84 Buddhas. TAYUL GOMPA(3900 m): Tayul Gompa is 6 kms. from Keylong (Lahaul & Spiti) and is one of the oldest monasteries of the valley having a huge statue of Guru Padmasamhava about 5m high and houses library of Kangyur having 101 volumes. In Tibetan language Ta-Yul means the chosen place. There is an interesting story behind this. KYE MONASTERY: It is situated 12 kms. north of Kaza (Lahaul & Spiti) and serves the western population of Spiti. 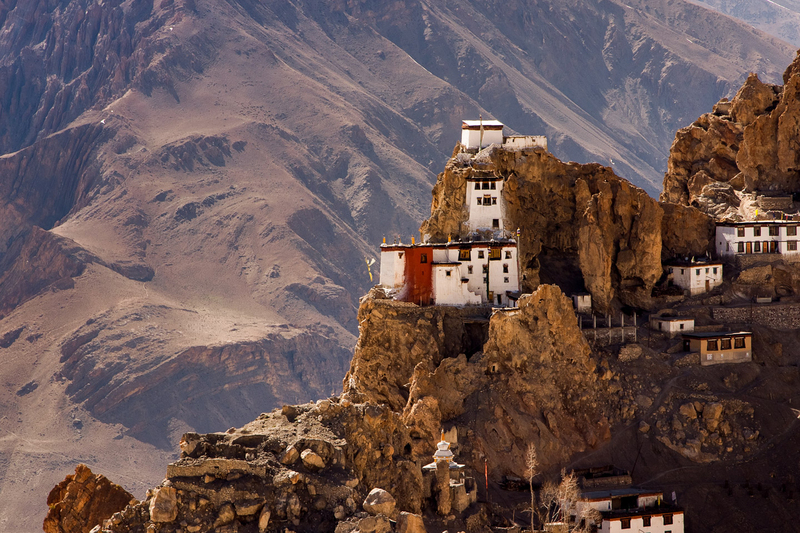 It is the oldest and biggest monastery of the valley and located at (4116 m) above Kye village. It houses beautiful scriptures and paintings of Buddha and other goddesses. Lamas practice dance, sing and play on pipes and horns. Relegious training to Lama’s is imparted here. It has murals and books of high value. THANG YUG GOMPA: It is located 13 kms. above Kaza (Lahaul & Spiti) serving western part of central Spiti. Situated in a secluded place in the narrow gauge of Kaza Nallah, it generally has a Lama from Tibet. Above this there is a long plateau which leads to Shilla peak. KUNGRI GOMPA: It is situated in the Pin valley about 10 kms. from Attargo where Spiti river has to be crossed to enter Pin valley. It is serves the population of Pin valley. TABO MONASTERY: This is another large gompa serving the population of eastern side. It has its origin in the tenth century old and is located 50 kms. from Kaza (Lahaul & Spiti). In fame it is next to Tholing Gompa in Tibet. It has about 60 Lamas and houses a large collection of Scriptures, wall paintings etc. Murals of this gompa have similarity to that of the Ajanta paintings. NAKO: The legendary footprints of the Guru Padamsambhava are enshrined at the Lotsabaage Monastery at Nako. This high altitude village in Kinnaur is located near a limpid lake. TASHIGANG GOMPA: Can be visited by taking diversion from Khab to Namgya and then trekking to the Gompa. TILASANGH MONASTERY: 1 km. trek from Ka, it is 12 km. short of Yangthang.